I’m proud my cat and how much she has grew. When Potato (my cat) first came to my house, she was shy, kept to her self, and try to hide everywhere. She would try to hide under shoes, under the couch cushions, and various corners in my house. Over time, she grew in ways that makes her more confident in her surroundings. I wonder if it’s because I would challenger her or she just trusts me. I remember when I first took her to the vet in her carry-on. She would make all sorts of racket and sounds when she was in her carry-on. Now she seems calm and relax. She seems to become more receptive towards people, before in the beginning she would run and hide under the bed or under the dinner room table. She still runs at first, but she eventually comes out to scope out what’s going on. 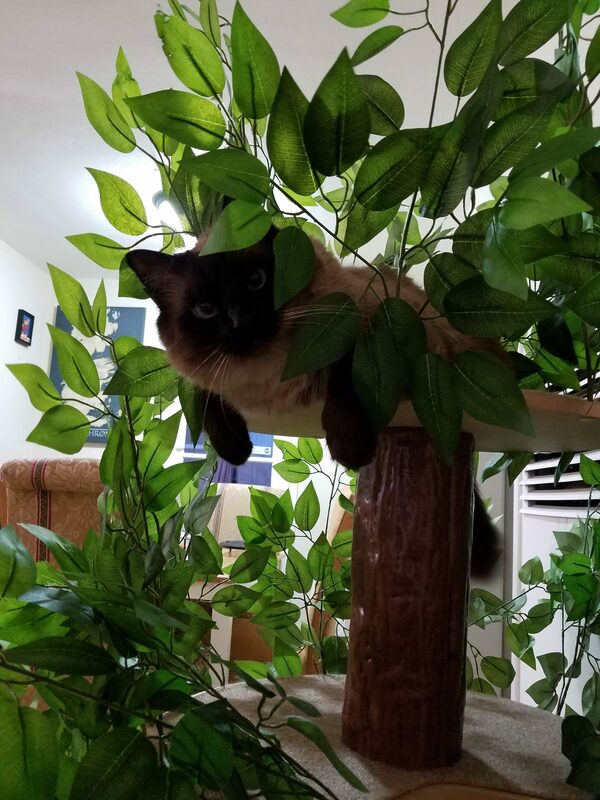 When I left her at a kitty hotel, she was a sweetheart and I found out that she like to nap in the carnival room. When I pick here up, I got to seen how she reacts to the staff at her kitty hotel. She did not try bite, claw, nor scratch the staff when they try to pick her up. I went camping for three days some time back with Stef. We went camping by the Russian River which was fantastic as you smell the clean air, fresh water, and at night you can see the stars shine bright in the night sky. The temperature at camp site by the Russian River did not get too hot, but it did got cold at night. It was perfect weather to hiking and exploring and forgetting about technology. Stef and I worked together as team in getting the tent setup, making food, and building a fire together to help keep us warm at night. In addition, we took the time to plan out our meals. For breakfast, we would make oat meal and tea/coffee. For lunch, we hand cold cuts sandwiches. With my Cast Iron Grill, for dinner we cooked, chicken with baked beans, bison burgers with corn, and turkey hotdogs. It so good! Stef and I got slow down a bit from our busy lives. Just sit around and write by the fire or just talking was very pleasant. I would like to do it again sometime in the near future and do more hiking. Thanks for sharing the picture. Very nice. It sounds like she (?) had a rough time before she met you, but now she feels safe and cared for. I think so, when I adopted her, she was with a foster care and she did not get that much attention for what I heard. Yes, she has found her forever home with me. I always had dogs in since I was kid, but having a cat has really changed me. Thank you for pointing out errors, I really appreciate it! Journal Entry – 05062018 – NY Trip!